WINNER UPDATE – Congrulations to Jamie Larson! This weeks lucky winner!!!! It is Wednesday and we love giving stuff away EVERY SINGLE WEDNESDAY!!!!! This week we are giving away 5 SPOOLS of ribbon of your choice from the wonderful people at May Arts Ribbon! That is about 125$ worth of gorgeous ribbon! YAHOOOOOOOOOOOOO!!!!!!!!! THANK YOU MAY ARTS RIBBON! We LOVE IT! Visit May Arts Ribbon on facebook – CLICK HERE – Say hello from Canadian Scrapbooker Magazine! You have until Friday March 8th at midnight to enter! I *heart* ribbon of every colour and size and shape! 🙂 Thanks for the chance to win! I love May Arts ribbons! Thank you for the chance to win!! Omg ong ong……how I would love to win this! LOVE! Oh so many colors! Love May Arts Ribbon so pretty! thanks for the chance to win! i love crafting with ribbon! who couldn’t use more of their yummy ribbon? Wow that is amazing that would be the coolest thing to have!! I would just die! I would LOVE to win ♥ Thank you for the chance!! WOW- how delicious! thx for the chance to win, and that GORGEOUS photo! How exciting!!!! Thanks for the chance to win! You can never have too much ribbon (and a view at my stash will support that fact LOL). There’s so much you can do with it. Thanks for the chance to win more!! Ribbon is my favourite embellishment – this would be such an awesome prize to win! Those ribbons are lovely! Would love to be the lucky winner. Love that pic – I need to reorganise my ribbon collection right now! Another wonderful prize! Gorgeous! Love Maya Road ribbon….so exciting! Can never own enough ribbon. Beautiful ! OMG, look at all that ribbon. How beautiful is that prize!! Love their ribbon. Thanks for the chance to win. such pretty colors! pick me! I am a ribbon hoarder so would love more ribbon 🙂 Thanks for the chance to win more! Love all the May Arts ribbon! Great prize! Thanks! Thia ia so exciting. I would love the chance to choose 5 rolls of your gorgeous ribbons! Thank you very much! Yes! I’m always looking for more ribbons to use. Thanks for the chance! wowsies, wouldn’t that be fun!! OMG I love ribbon. amazing prize. That ribbon is absolutely beautiful!!! I’m a ribbon addict so this would be a wonderful prize. A Girl could never have enough Ribbon! Love this! Wow..look at all that ribbon, you can never have to much ribbon!!! Why Not is right!! Love me some ribbon! oh wow, that IS a magnificent prize! It’s like looking into a candy store! What a sight! I love their ribbon and would love to win. 2 of my favorite things…. Maya roads and ribbon!! Ribbon? I love ribbon. Thanks for the chance to win. Great prize pack – thanks for the chance to win! Love ribbon! Thanks for the opportunity! LOVE their Houndstooth ribbon they have on their cover photo!!!!!!!!! Would LOVE to win this Amazing prize! Hi done and thanks !!!!! Beautiful ribbons, thanks CS for introducing me to this great company! I LOVE ribbon, not only does it add so much to a SB page or a card but it adds so much to tons of other projects too! I say it is like the icing on the cake. I also LOVE this ribbon rack! I need, want and have to get one! Thanks for sharing! I pray I will win the best prize! Thanks! Woo-hoo….I would love to win on this dreary wednesday….just the thought brightens the day! Ribbon, yes that’s my favourite thing to use on a card. I’d love a roll of polka dotted happiness or 5! Adding to my ‘stash’ would be fabulous. I’m always looking for new ribbon!! Thanks for the contest!! I would love to have this wonderful prize. Thanks for coming out with this awesome contest! Great prize, I love May Arts ribbon. The more ribbon, the merrier! I would love to win this beautiful BEAUTIFUL ribbon! wow! how fantastic would this be! May Arts Ribbon always adds that little bit of WOW to a project!!! Love it! Thanks for the chance to win! I am a total ribbon whore and this would be an AMAZING SCORE! Thanks for the chance to win, even thinking about it is making me happy! Ribbon is my kryptonite. Thanks for the chance to add to my addiction!! Whoo hoo! What a great prize! Who doesn’t love ribbon?! Beautiful, beautiful. Who doesn’t need more trim and ribbon?? OMG – love those ribbons. Thanks for the chance to win. Oh wow! How spectacular! Love all the colors. What a great way to craft and spice up any gift. Thanks! Nothing completes a layout or card better than adding ribbon! I LOVE ribbon!! Needing some ribbon for my cards – would be wonderful to win! What a wonderful, colorful prize! Thanks for the chance to win some wonderful ribbon! I love the rainbow ribbon! Wow! Wednesday’s just got better! Thank you for the chance to win! Love their ribbon! Thanks for the chance to win! What a super prize Canadian sent me! Let’s wrap this up with beautiful ribbon, thanks for the chance to win! Ops I meant “Canadian Scrapbooker” but I’m still in the wrong place!!! Oh my word! Pretty colors!!!! Love Maya Ribbons! Told them Hello from you. Thanks for the chance to win! 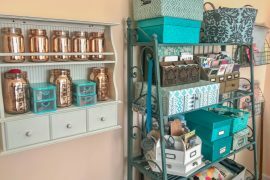 I would love that whole display in my craft room…wowzwers!!! May Arts makes the most fabulous ribbon – would love to win more! Beautiful ribbon. Thanks for the contest. Wow!! What a great prize package! I would love to win! Love, love, love, love ribbons. Thank you CSM. Wow, I can always use new ribbons! Love decorating cards and pages with it! I love this company’s products! What a great prize! You can never have too much ribbon! Beautiful! OMG! That is fine looking ribbon! Thanks for another great contest, CSM! I love ribbon!!! Would love to win!!! Sent some love to May Arts. Their ribbon is awesome!!! I love ribbon I use it on every page I do, ribbon is my drug of choice!! Just recently my favorit scrapbook store closed, I very said day. I would love to win this prize!! Love to have all that beautiful ribbon! Beautiful Ribbon would love to win some !! Awesome! Love me some fabulous ribbon!! this is an awesome prize. can anyone ever have too much ribbon or bling? would love the storage cupboard too! thanks for the chance to win. Wow, a beautiful rainbow of color! Love it! Could always use more ribbon! More ribbon!!! Yes please…… Thanks CS. I love ribbon and have a slight addiction to it so would love this one! I love the ribbons they make! Thanks for the prize! OOOooo!!! I love May Arts Ribbon!!! Would love to win some beautiful ribbon! I would love to win some ribbon. Wow what a Amazing giveaway,beautiful!!!! I love My Arts and really like the idea of choosing my own ribbon prize-thanks heaps for the chance to win! Have a great day! I am soooo addicted to ribbon! I love that you are such an enabler! Would love to add this to my scrap space so thank you so much for the chance to win. There is no such thing as to much ribbon!!!! I love Ribbon!!!! I love May Arts ribbon, especially their beautiful silk ribbons. Thanks for a chance to win! Ooooh la la this would satisfy my ribbon obsession for a day or two!!! Thanks for the chance to win! Love that ribbon comes in such a rainbow of colors to add punch to a page or a card. I love the storage idea pictured almost as much! Thanks for the chance to win! Beautiful ribbon to add to my collection!! oh ribbons galore! thanks for the chance to win! I am so addicted to ribbon! will try and add it into most of my layouts. I need some ribbon like this for an upcoming project…thanks for gving me the chance. Luv it! but in the end I do. In love with ALL of May Arts Ribbons! I hope that I win! Wednesdays are made fabulous by these chances to win! Thanks for the opportunity! Ribbon rocks! Love all the May Arts Ribbons!!!!! Love to use ribbon on my cards. Very cool prize package would love to win it. Thanks for the chance to add to my ribbon collection! I have a spool of ribbon that I’m eking out slowly since I’m almost through it. It’s my fav ribbon and it’s a May Arts ribbon. Already a big fan of May Arts! Their ribbons and trims are fantastic! So many beautiful colours! What a great prize to win! Who doesn’t love beautiful ribbons? What a great prize. Thanks for the chance to win it. I can’t even imagine what I could do with diff. colors of ribbon !!!! Wow! What a fabulous prize! Ribbon is the one supply I am seriously lacking in, so I’m really keeping my fingers crossed! Love, Love, Love it!!! Hope I win it wednesday!!!! I am exploring creating fashion items and embellishments made out of ribbon, so this is an opportunity to expand those creations! Thanks! I love the ribbon! Good luck everyone! May Arts Ribbon rocks! Thanks for the giveaway! I love ribbon, ribbon, ribbon. If I could I would put ribbons and bows on everything in the house. I love to add ribbon to lamps, wine glasses, picture stands, wine bottles, mirrors, big glass vases of twigs, on antiques and chandeliers. Everything! Throughout the year I get ribbon on all of it. I love the way that some ribbons curve and billow and trail. I love that some ribbon is soft and flowing and quiet while other ribbons are bold and are pouffy and really make a statement. One can never get too much ribbon! Nice!! Love all the ribbon oh how all those would look fab in my area! wow how cool is this I would love to win this Awesome Ribbon. thanks for the chance to win. One can NEVER have too much ribbon! lol! What an awesome chance to win some ribbon! I adore ribbon and would be thrilled to win this amazing prize! Ribbon! Just makes me think of spring! Good luck everyone! I would love to win the ribbons. I use a lot in my cardmaking. Yummy ribbon, my favorite embellishment! Thanks for the chance to win! I use ribbon on almost everything I make so I know I’d get some use out of this giveaway! Just put in a ribbon spool into my scrapbooking centre which could be filled up beautifully with winning the ribbon from this prize pack!!! Thank-you for another great giveaway! Ribbons are the perfect finishing touch on my cards! My name is Jenice…and I am a ribbon hoarder! Thank you for offering this giveaway. I am a ribbon junkie! I have Tons of may arts ribbon and would love more! Thank you for the chance to win the amazing ribbon collection……..I might in share with a few of my favourite scrapping pals. would love to win May Arts Ribbon, that stuff is awesome! I LOVE RIBBON!!! Thanks for the chance to win this amazing bundle of ribbon. I love me some may arts ribbon! Ribbon! Love to use ribbon! Can never have too much ribbon. It just completes the project…love it!!! Pinch me, I must be dreaming about ribbons! Love it all. Thanks for the chance to win some. Would love to use this ribbon to craft! Ribbon, why not eh? Jackie thank you for a chance to win! They have some pretty ribbons! I LOVE ribbon! I need a shelf unit like this for my ribbons … did I mention that I LOVE ribbon? I use ribbon in almost all my layouts. Thank you for a chance to win! I could certainly find a way to use that much ribbon!! Love the ribbon. Thanks for introducing me to this company. Wow!! Does that wonderful ribbon rack come with it? I would love to win this prize package with or without the rack. hello, my name is karen and i’m a ribbon-holic with no intention of curing my illness…teehee! btw, i’m blaming my addiction on may arts…i used to work in a craft store and one of my “jobs” was ordering from may arts…would love to win!!! I would love to win some of your awesome ribbons to add to my collection for my scrapbooking. Sure beats throwing all your ribbon in a basket like I do!!!! LOVE IT!! LOVE the ribbon stored that way! Do we get the cabinet too? Wow, that sounds amazing! I love May Arts Ribbon! Thank you so much for this giveaway. Who can ever have enough ribbon!!!?? I would love this Why Not Win Wednesday!!! Just seeing that wall of pretties makes me happy! Would dearly love to win! Thank you and May Arts! Now that would be exciting to win..some May Arts amazing ribbon..thinking burlap :)thanks for a chance! LOVE YOUR RIBBON. Thank you for a chance to win! Amazing prize. Thanks for the chance to win it. You can never have too much ribbon. Thank you Maya Arts. thanks for this chance to win!!!! May Arts ribbons rock any day, but free May Arts ribbon is a good reason to par-TAY!! I love fibers and ribbon and May Arts has such a wonderful variety. Thanks for the chance to win. Another fantastic giveaway! May Arts has great products! Thanks for the opportunity to win. A girl can never have too much ribbon! Thanks for the chance to win! Eek! May Arts has the prettiest ribbon! Love, love, ribbon. Would be wonderful to win this. All the colors of the rainbow – I would love to win this! A girl can never have to “much” ribbon!! Thanks for this opportunity to win ALOT of ribbon. Thanks for the opportunity to win this prize package of gorgeous ribbon! Just love all that ribbon. Rolls of Ribbon would be righteous! Said hi to May Arts. What a fabulous prize. Thanks so much for the chance to win it. I would love to win ribbon!! Thanks for a chance to win these great goodies. I love May Arts ribbon!! Thanks so much for the chance to win!!! If I win I’d be in ribbon heaven! Woo-Hoo!! I luv ribbon! (And now that I have a baby girl I can use even more!! Ribbon, love it! Use it in scrapbooks, as accessories for my daughters hair….wonder what other uses I can come up with. Woo!!! Thanks for the chance to win some gorgeous ribbon!!! You can never have to many ribbons! I have so many rolls of ribbons in bags…. this would be heaven! Love love love pretty ribbons…thanks for the chance. Love May Arts Ribbon! Thanks for the chance to win! so many pretty ribbons…so many projects!! ahhhhhhh!!! that ribbon is gorgeous!!! I so want to win!!! Ribbons! Love em. Thanks for this great prize. There’s always room for more ribbon…..especially May Arts Ribbon! The ribbon is fabulous!! Love it. May Arts has so many different types of ribbon! This is awesome. Nothing better than may arts ribbon! you had me at ribbon! Cool prize. Thanks for the chance to win. This looks so awesome! Would LOVE to win! Very Awesome prize….I’m new to using ribbon, and I love it…thank you for offering up such fabulous prizes 🙂 You Rock! What a Dream Prize… I would really love to win this!!!! OMG what an amazing offer…I just love all of Maya Roads products! Thank you for this great prize! Excellent prize choice! love the colours and love the ribbon!!! I love ribbons! Thank you for the chance to win! Oh this would be so cool to win! What a great give-away!! Thanks for the chance to win such a great prize! I love ribbons! Thank you for the chance to win!! I love the fabulous colors! Your give-aways are always so great. Thanks for the chance to win. May Arts makes the best ribbon! Amazing giveaway! Ribbons and bows make everything better…just saying’ Thanks for the chance to win such a fabulous product. What a rainbow of ribbon! It’s great to enter a contest like this….thanks. Love May Arts! left them some love!! love me some ribbon. husband is gonna have to make me something to keep it all. Wow!!! Look at all that ribbon!!! Ribbon for, cards, scrapbooking and little girls hair. Got to love ribbon. Thanks for the chance to win some great ribbon. That is a great gift! You are so generous! Thanks for the opportunity! What a great prize! I love using ribbon in all my scrapbooking! Just found out I am going to be a grandmother for the first time….think of all of the lovely projects I could make with such beautiful ribbon?!?!? Thanks for the opportunity to win and the inspiration. Would be great to win… Everyone likes to win..Good Luck to everyone…………..
That is such a gorgeous collection of ribbon it makes me happy just looking at it! I’d be ecstatic to win some. Thank so much for the chance. wow! how fantastic would this be! Thank you…i love a great ribbon giveaway. Love al kinds of ribbon, trim, laces small, laces al colors. I am a ribboholic. I admit it! I have a WEAKNESS for RIBBON! LOTS & LOTS of RIBBON!! YAY! Can’t wait for March 8th! Ribbon, ribbon, and more ribbon. I really believe you can’t have enough! I love being able to incorporate ribbon into my projects. May Arts ribbon looks very sweet. Thanks for the chance to win! You can never have too much ribbon! There is never too much Ribbon is my moto – and since I am creating all these really cool ribbon shape cards I am getting low!! You know, Crafter low! thanks for a chance to fuel my obsession! Marvelous ribbon – do we get the holder too ? This ribbon would be just what I need for my starter business! The choices are AMAZING and I appreciate the opportunity to enter 🙂 Thanks! I would love to win this ribbon for my baby girl’ bows :)!! Love it!! Amazing!!!! I love ribbon. Never enough ribbon. I like May Arts Ribbon! May Arts ribbons are THIS best. I LOVE my ribbon and use it all the time. thanks for the chance! LOVE!!! thanks for such an awesome give away!! A girl can never have too much ribbon! I love all of May Arts ribbon. If I win this prize it will take awhile to decide what I want – I want it all. thanks for the giveaway. Love ribbon!! This would be great to have!!! Thanks for the opportunity to win! Absolutely love her ribbons!! and a girl can never have too many ribbons !!! Ribbons, every scrappers and card makers must! What’s a scrapbook page without ribbon? Nothing, I say! Thanks for the opportunity to win!! What a great prize! Thanks for the chance eto win! That is some bunch of ribbon. I would love to have it… Thanks for the opportunity to win. Woohooo! Endless possibilities with all that ribbon!!! Would loooove to win this ribbon!!!!! I am a ribbon junkie… love it, can’t get enough! Would so love to win this! I’d love to win some ribbon!!! What a wonderful collection…..I have only a few selected pieces as I cannot afford a lot. I only get when absolutely needed. I hardly have any ribbon so I’d love to win this. May Arts has THE nicest ribbon ever. I love how many different colors and styles they have. A girl can always use new ribbon! Pick me please! Ribbon is the best embellishment ever!!! 5 spools of ribbon! Wow, what a great prize. Never have enough ribbon! Love the ribbon storage, looks so good. So glad it is sorted into colours as it helps my OCD process more easily! The ribbon is truly gorgeous! This is an AMAZING giveaway! I’m drooling!!!!! There is always room for ribbon, especially the good stuff. Wow, Weezie wildly whips her wig around to her wonderment and go wacky over WHY NOT WIN WED!!! Ribbon !! I love Ribbon. WOW! Very beautiful ! It’s my dream! omg! I love ribbons! never have enough! yahoo! Oh wow! All this ribbon makes me so happy! So colorful! Wow,what a generous giveaway! And that ribbon makes me grin like a kid in a candy shop! Love ribbon! I’m a ribbon hoarder! Lol! Sweet! My stash of ribbon is very pitiful! Sure can use some “remodelling” Thanks a bunch! Holy Ribbon Batman!! Love it I want to copy this in my craft room!!! What an awesome giveaway. Thank you for the chance to win. Wow what a great prize. Fantastic prize! I am a ribbon and lace junkie! Well, I suppose it’s a case of one in a million chance looking at how far down the list I am. Still love ribbons!!!!!! wow what beautiful colors….thanks for the chance to win. Canadian Srapbooker Magazine and May Arts Ribbon ROCK!! I would love a chance to win some beautiful ribbons from may Arts! Thanks!! Thanks for the chance to win…I LOVE ribbon! Gosh…this is incredible as my ribbon collection is extremely limited! This would be amazing to have a collection of the best ribbon available in the market! Keeping my figures crossed! wow, this is amazing, i’d be like a kid in a candy store, not sure which one to use first..
A man saying you have enough ribbon is like them saying you have enough shoes! You can never have enough! I see a bright Spring ribbon wreath in my near future…or at least I hope so! Thanks for the chance to win!!! Gorgeous ribbon!!! thanks for the chance!! One can never have enough May Arts ribbon! Thanks for the chance! Ribbon! May Arts! Yes, please! May Arts ribbons rock! Great giveaway! I’d love to win this amazing prize I love ribbon! Thanks for the chance to win. With 5 grandaughters I LOVE< LOVE< LOVE ribbon!!! I love ribbon. Thanks for a chance to win. Thanks for the chance to win CS! Woot woot this would be great! Love ribbon. Would love to win. Would love to win this prize! I love ribbon and one can never have enough! I will try not to drool on my phone. But that is a beautiful collection! Crossing my fingers. Grandbabies pages will looks so amazing with all that ribbon. Thanks CS and May Arts Ribbon. I can NEVER have toooo much ribbon!!! This would be so awesome! I use ribbon on ‘almost’ all of my projects! Thanks for the chance!!! such beautiful ribbon. I’m drooling. Thanks for the opportunity to win. Gorgeous Ribbon! Wow … love Why Not Win Wednesdays! I love May Arts Ribbon, it would be so nice to win!!! Ribbon I love ribbon! Thanks for the chance. I love the May Arts Ribbon. It is so bright and beautiful. Hope you have a wonderful weekend. This is a great contest! Thanks for the opportunity to enter! Fantastic prize, who doesn’t need more ribbon!?? ?